Why do you charge session fees? Session fees are not just paying for my time and expertise, but also the use of my equipment. Photography equipment is expensive, on average thousands of dollars are invested in each camera body and lens, and then you need to consider lighting equipment. If you were to rent the equipment I use from a camera store for the day, and take the images yourself, it would cost you $350. Do you offer a la carte products? A la carte items are available for purchase however purchasing a package is the most cost effective. A la carte items include prints, packaging, albums, cards, canvas wraps, metal and stand out prints and custom fine art canvas frames. Click on the link in the previous page to take a closer look at my products or contact me to request a price sheet. Do you cover corporate and commercial events? Please inquire about special pricing for corporate and commercial events. Fees above may not apply and special commercial licensing fees may be required. Why do you charge for images, after I have already paid a session fee? Images are far from complete once taken. Editing software is complicated to learn, but when used correctly open up a world of possibilities. To me, the image is the canvas and the editing programs are my paint brushes. I spend at minimum 5 minutes per image and have spent up to a month on a single image. The fees you pay reflect the time I invest in your image. Images that take less time are less expensive, images that take hours to process reflect that in their fee. To answer this question I must first explain that not all digital images are the same. Programs speak different languages to communicate color. Cameras and editing software use the color space of Adobe RGB, monitors use SRGB, and print software use CMYK. That means the average image is written using one language, then changed so you can see it on your monitor to a different language, then finally changed to a third language to be printed. That's a lot of room for error. Have you ever loved an image in your camera but it looked awful on your monitor, or maybe you tried to have it printed and it turned out green? Your image basically got lost in translation. For optimal online imaging one more factor needs to be considered. Social networking sites don't have room to save everyone's images in full resolution, so the program compresses your image in order to save space. Imagine taking something really big and shoving it into a really small space. The process of compressing an image, permanently damages it. Instead, using a small image already formatted to the optimal size, will produce a better image to share. 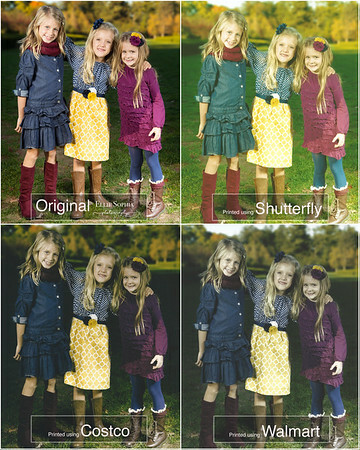 Web-shareable images are formatted in the correct color and size to be optimal for sharing online. But for all the same reasons, these images are not suitable for printing. What is an art edit? Similar to any commissioned art, an art edit is an original work created to meet your specific needs. It starts with us discussing what you envision and designing a photoshoot to create a base image from which the art will be built. It can be added to any regular photoshoot, or in rare cases such as after a pet has passed, I can use a high resolution image you may already own. I use this image to build layers on and by the time it is complete the original image is removed. My digital paintings are literally brushed on one stroke at a time, each hair carefully painted in place. The cost of the print depends on the complexity of the work and the amount of hours it takes to complete. To see examples, click HERE. When I started my business I focused on selling digital images. Then one day I went to a client's home and saw one of my images that had been printed at a consumer lab. It was disheartening to say the least. So much of the detail in color and sharpness were gone. Consumer labs serve a purpose, such as when printing snapshots or phone images. However, as you can see from the comparison image, these labs are not reliable. If you invest in professional images, are you really saving by printing the images yourself or are you actually throwing away what you have already invested? By hiring me, you are not only paying for your image to be taken with the highest quality equipment, but for my time to edit, sharpen and calibrate the colors of your image according to my professional lab, all ensuring a high quality print that matches the original.